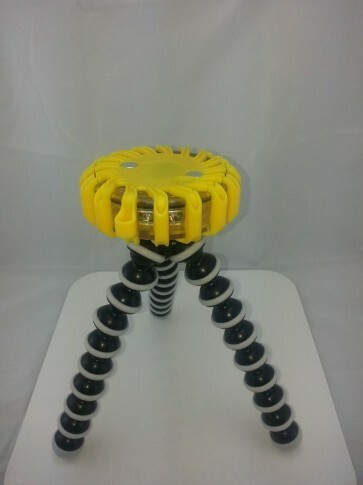 High quality flexible joint tripod stand works with Sun-In-One’s electronic flares for highest visibility in traffic safety conditions. The stand is designed to bend or wrap, firmly ensuring flares can be positioned and seen, even in any unusual road or bad weather conditions. Flares attach simply by magnet!